Joe Jefferson is at his kitchen table, looking at something he thought he never would see. “It’s like I’ve got to laugh to keep from crying,” says the songwriter, producer, drummer, and singer. ‘Festival Pier is on sabbatical’: With the Roots Picnic moving, what about the other concerts at the waterfront venue? The 75-year-old musician is gazing at his younger self, with an outsize Afro and raised fist, pictured on Laugh to Keep from Crying, the debut album by Nat Turner Rebellion, the Black Power-era Philly funk and soul group that Jefferson founded in 1969. The album has been issued by Drexel University’s student-run Mad Dragon label in partnership with music publishing company Reservoir Media and online record club Vinyl Me, Please. Would those be tears of joy or sadness elicited by the extremely long-time-in-coming debut? “Both,” says the last surviving member of the band named after the leader of an 1831 Virginia slave insurrection. “Because here I am,” Jefferson says. “And I’m like, ‘Wow!’ Is this for real?’ Somebody pinch me here. Why, all of a sudden, out of a clear blue sky, somebody is taking notice of what I tried to do 50 years ago? He pauses and looks over at his wife, Rosa. The arrival of Laugh to Keep from Crying nearly a half century after its impassioned, consciousness-raising songs like “Tribute to a Slave” and “Getting Higher Together” were recorded reclaims an all-but-lost chapter in the saga of the Sound of Philadelphia. It tells a what-might-have-been tale about a band that aimed to cross Sly and the Family Stone rock-soul swagger with the vocal precision of the Temptations, delivering tender love songs and sorrowful lamentations that suit the sociopolitical moment in 2019 just as they might have in 1971. If only they had been heard then, when the Nat Turner Rebellion were signed to Philly Groove Records, the label run by impresario Stan Watson that employed a young Thom Bell and whose stars were the vocal groups the Delfonics and First Choice. 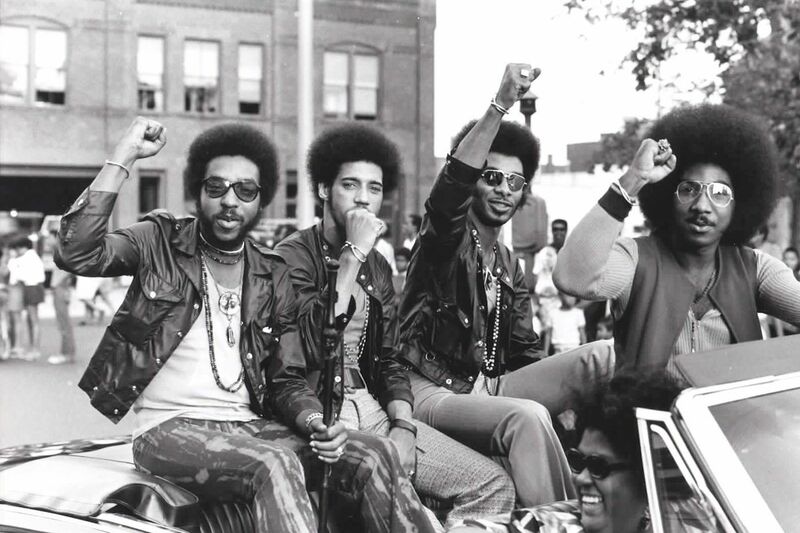 The story of why the Nat Turner Rebellion never got the hearing they deserved — only a handful of singles were released while the band was still together — has to do in part with Philly Groove being overshadowed by Kenny Gamble and Leon Huff’s Philadelphia International Records label. It likely also reflects how Jefferson’s confrontational Nat Turner vision — he posed in one publicity photo with a noose around his neck — didn’t mesh with the lushly orchestrated positivity that TSOP became known for. The Nat Turner story is contentious. The band came to a bitter end in 1972, when one member held up another at gunpoint. But nearly a half century later, its music has come back to life with the help of the enthusiastic collaboration of music professionals who when encountering the band shared a similar reaction that can be summarized as: Who are these guys, and why have I never heard of them before? Key players in making that happen have been professors Marc Offenbach and Toby Seay and their students in the Drexel University Music Industry program, who are all credited as Laugh to Keep from Crying producers, along with executives from Vinyl Me, Please, and Faith Newman, the Reservoir A&R woman who instigated that project. Drexel houses the donated treasure trove of tapes recorded at Sigma Sound Studios, Joe Tarsia’s legendary 12th Street recording space that was home base for Philadelphia International and that David Bowie famously used to record Young Americans. Along with digitally releasing music by student-assisted up-and-coming acts — a single by Dallas R&B singer Scarlet Cimillo came out this week — the school’s Mad Dragon label has aimed to mine the Sigma stash for new releases. A real opportunity to do that didn’t present itself until Offenbach and Seay, who oversees the Sigma archive, were approached by Newman. In 2012, Reservoir bought the masters and the publishing rights to the Philly Groove catalog, though Drexel was in possession of some of the physical tapes in its audio archive. She had only one name to go on: Joe Jefferson. So Newman took a shot in the dark and contacted a Joseph Jefferson on Facebook who lived in Burlington County. The foot infection was fortuitous. Jefferson grew up south of Richmond in Petersburg, Va., a self-taught drummer and organist. He toured with the Manhattans and was touring with the Sweet Inspirations, the gospel group led by Cissy Houston, Whitney’s mother. In 1969, the group was playing the Uptown Theatre on North Broad Street. Next stop: Las Vegas, where the Sweet Inspirations would be employed as backup singers by Elvis Presley. But Jefferson was sidelined with a severe foot infection and a doctor told him he couldn’t make the trip. So he rented an apartment in West Philly and embarked on a musical journey. Immersed in the sounds and ideas of the time — he cites Malcolm X, Jimi Hendrix, Huey P. Newton, Marvin Gaye, the Rev. Dr. Martin Luther King Jr., and the Rolling Stones as influences — Jefferson started the Nat Turner Rebellion. For bandmates, he enlisted three friends from Virginia: baritone singer Bill Spratley, tenor Ron Harper, and singer-guitarist Major Harris, who went on to join the Delfonics and scored a Philly soul hit of his own with “Love Won’t Let Me Wait” in 1975. “Fired up politically,” Jefferson came up with the Nat Turner persona, based on the slave whose two-day insurrection claimed 60 lives before he was captured and hanged. Jefferson remembers asking his mother to repeat stories she had told him about Turner. Jefferson took the persona seriously enough that for the first two years they dated, his wife thought his name was Nat. The couple were married at the Latin Casino in Cherry Hill in 1976, with the Spinners as groomsmen and Sister Sledge as maids of honor. But the group never broke through. Jefferson says the commitment of the other members never matched his, and he blames himself for staying loyal to old friends rather than finding new collaborators. It came to a head one night in 1972 after a hometown gig at Virginia State University. Jefferson had to repay a financial backer who had fronted the band money. It didn’t take long for him to find success. “One of a Kind (Love Affair)” for the Spinners was the first of a string of hits he had a hand in writing, in 1973. Jefferson’s career as a successful songwriter was off and running. But the Nat Turner Rebellion, the project that was near and dear to his heart, was dead and gone. That is, until decades later, when Newman found Jefferson on Facebook. Satisfied that they had his best interests at heart — and he was paid — Jefferson gave the go-ahead. Newman partnered with Mad Dragon, which was pleased to be able make Laugh to Keep from Crying the first full-length release from the Drexel Audio Archives. The album’s 5,000-copy limited edition has already sold out at Vinyl Me, Please, but the music is available on all digital platforms. The label has candidates for subsequent releases from the Philly Groove catalog, like the Coupe DeVilles, a 1970s West Philly party band. But the Nat Turner Rebellion is the ideal starter for the series, Seay says. Most of the material in the Sigma archives, he says, are leftovers and outtakes. What also makes it ideal is that its political and musical content fit in with both the sounds of its own era and new 1970s-inspired protest music, like Solange’s When I Get Home. “There was not a thought in my mind that this could have happened” says Jefferson. “Not in a million years. Come Celebrate Philly Soul Music: Nat Turner Rebellion Listening Party, at Drexel University, 3401 Filbert St., 6-9 p.m. Wednesday, May 1. Free. maddragonmusic.com.